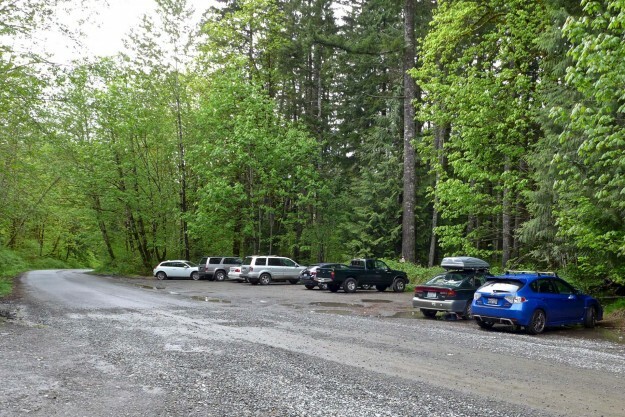 An earlier post described potential parking problems across the road from the Mailbox Peak trailhead shortly after a new trailhead was constructed. 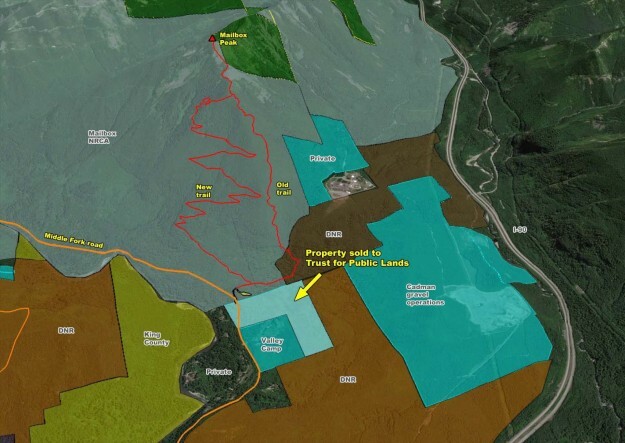 Today, the DNR announced that they had successfully negotiated a purchase of the five parcels of land including the disputed parking pullout and other parcels surrounding Valley Camp. While there have not been problems reporting by hikers parking in the pullout north of the road the “No Trespassing” and “Private Property” signs were unnerving. This pullout provides overflow parking when the lot up the hill is full or for hikers who get a late start and might get down after the gate is locked. According to county records, the property was purchased in August, 2015 by the Trust for Public Lands for $1.4 million. The deal was delayed for years because the seller was not satisfied with the amount being offered by the DNR, saying that it was substantially less than the assessed value he was taxed on — $1.643 million for 2015. The title is expected to be transferred to the DNR in January, 2016 but King County will retain the development rights. 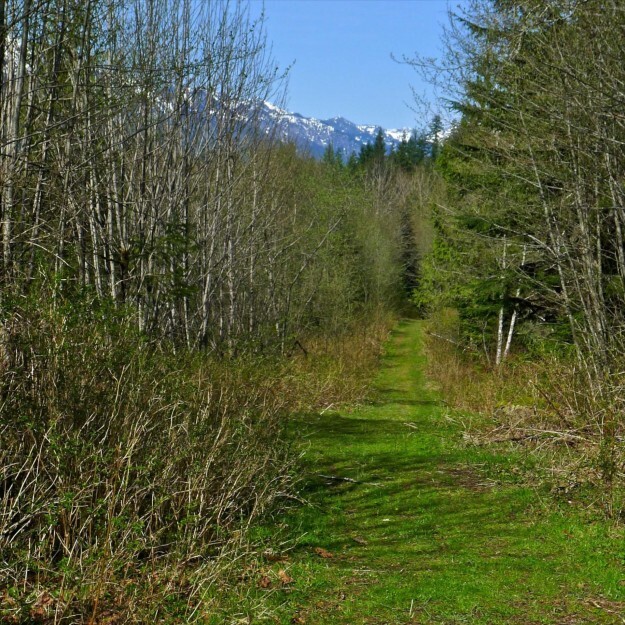 It’s good news that the parties were able to come to an agreement as the seller recently cleared old logging roads on the property so potential private buyers could inspect the parcels for sale. This is also good news for Valley Camp which will continue to be surrounded by undeveloped property. 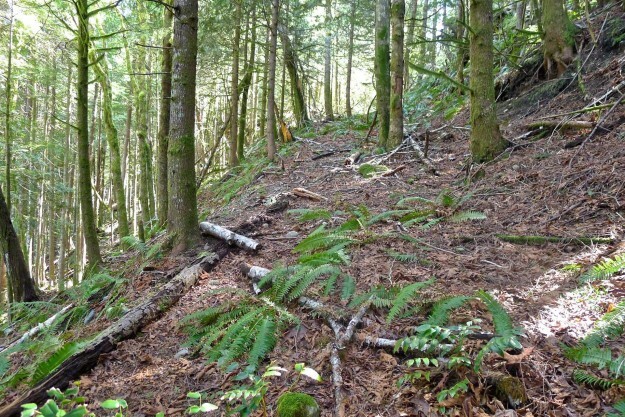 The announcement states that the DNR and others are “exploring options for the property, possibly by restoring roads and access points remaining from timber harvesting as the basis for establishing ADA-friendly trails. 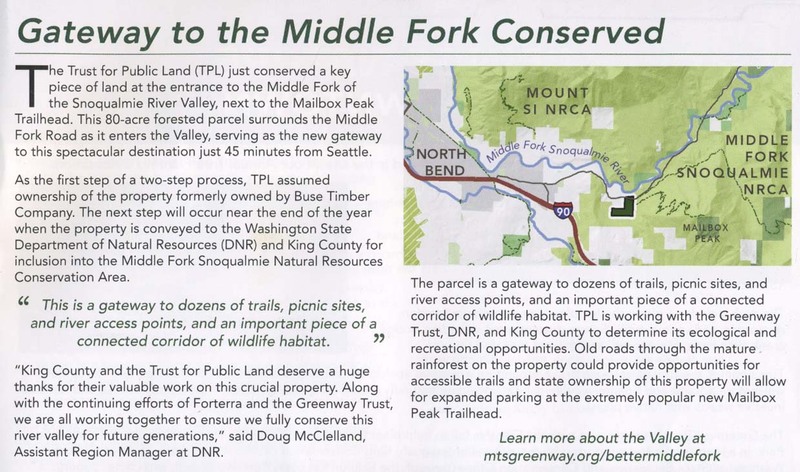 This purchase also enables DNR to provide better access and amenities for those coming to hike Mailbox Peak.” It may take a while to realize those ambitions, but the area is already worth a side trip as part of a visit to Mailbox Peak. 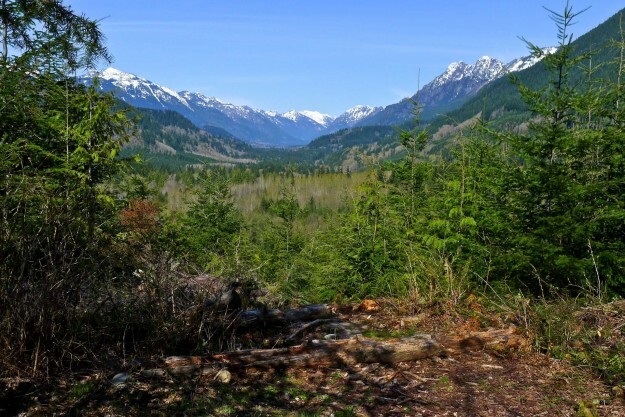 Most of the old logging roads in the lower areas are excellent for walking with one leading to an old yarding area known as Greg’s Valley View Point. There are no detailed maps of this area so navigational aids such as a GPS are recommended. Please respect Valley Camp’s property and exit via the Mailbox trailhead road. This entry was posted in Grouse Ridge and tagged DNR, parking, public land on 2015/11/16 by mvanderbilt.